China National Offshore Oil Corporation (CNOOC) will increase its venture in the Nigerian oil and gas sector, especially its offshore investments, to about $17 billion.Chief Executive Officer (CEO) of the Beijing-based Corporation, Yuan Guangyu, disclosed this during a visit to the Nigerian National Petroleum Corporation (NNPC) in Abuja at the weekend, saying Nigeria was a key destination for the national oil firm. CNOOC, one of the three big Chinese national oil entities, originally focuses on offshore upstream exploration and production, while the China National Petroleum Corporation (CNPC) favours onshore upstream exploration and production. China Petrochemical Corporation Group, SINOPEC, the third of the tripod, focuses on refining and marketing. Apart from over $14 billion, which Guangyu said the country has already invested in oil and gas sector in Nigeria, he disclosed that the group would stake additional $3 billion in its existing portfolio in the country’s offshore oil and gas operations. Leading a team of CNOOC top executives to NNPC’s corporate headquarters, Guangyu called for common grounds of beneficial interest that could boost productivity of both countries’ oil firms. 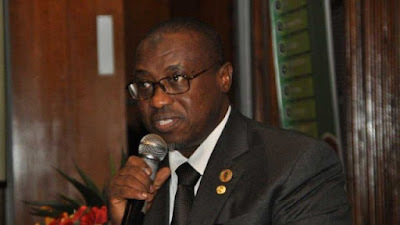 Group Managing Director of the NNPC, Maikanti Baru, said the corporation was open to new investments and opportunities.Baru, who was represented by Chief Operating Officer (COO), Ventures Autonomous Business Unit of the NNPC, Victor Babatunde Adeniran, said the corporation would foster meaningful and mutually beneficial relations with credible entities like the CNOOC.